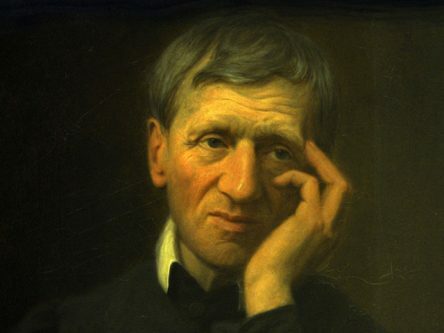 On Tuesday 12 February 2019 Pope Francis cleared the way for the canonisation of the much-loved educationalist Cardinal John Henry Newman. The Pope received Cardinal Angelo Becciu, the Prefect of the Vatican Congregation for the Causes of Saints, and authorised him to promulgate two decrees on miracles for sainthood, a decree on martyrdom and five on heroic virtues. Cardinal Vincent Nichols, President of the Catholic Bishops’ Conference of England and Wales has warmly welcomed the news that Cardinal Newman will be declared a saint. “This is wonderful news which will be greeted with thanks to God by people across the world. Newman’s exploration of faith, depth of personal courage, intellectual clarity and cultural sensitivity make him a deeply admired follower of Christ. “He brings together so many of the best of Catholic traditions shared well beyond the Catholic Church. His canonisation wIll be welcomed especially in the Church of England and the wider Anglican Communion. “For me the truly remarkable nature of this moment is that this is an English parish priest being declared a saint. Cardinal John Henry Newman was beatified – declared a ‘Blessed’ – by Pope Emeritus Benedict XVI on his historic state visit to the UK in September 2010.